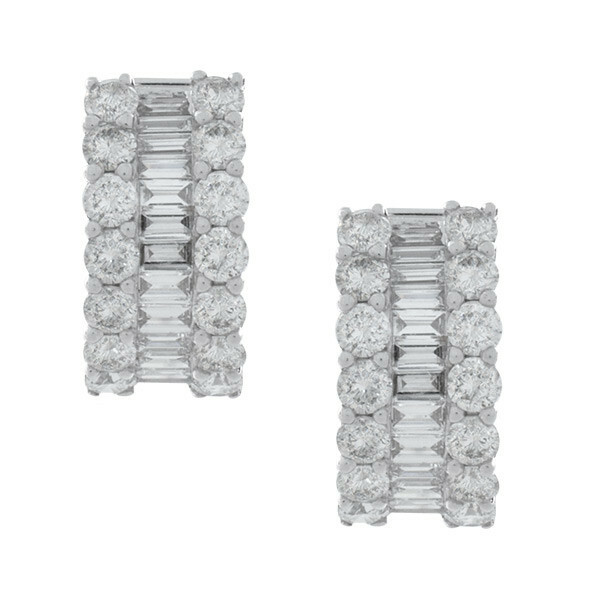 These huggie earrings prove that diamonds are a girl's very best friend. They are crafted in 18kt white gold, and a row of white baguettes runs down the middle of the small hoops. Sparkling brightly, the baguettes are flanked by round white diamonds on either side. These huggie earrings are nothing short of sensational!